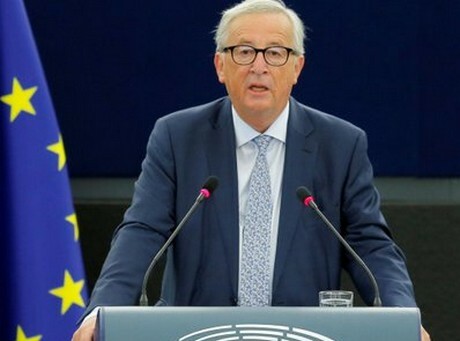 According to European Commission President Jean-Claude Juncker, the EU should offer a free trade agreement to the whole of Africa, as well as a new investment alliance. European Commission President Jean-Claude Juncker delivered a speech during a debate on the State of the European Union at the European Parliament in Strasbourg, France. Among various proposals for EU action to bolster prosperity in the world’s poorest continent and Europe’s close neighbour, the Commission chief called for a more equal partnership and investment rather than aid, as Europeans look for ways to stem an economic divide driving Africans to try to migrate northward. Juncker said he had talked with African leaders and was proposing an alliance to boost sustainable investment, which he said could create up to 10 million jobs in Africa in the next five years.